In 2012 I wrote a book about Spec Ops: The Line called Killing is Harmless. It was published by Stolen Projects, a project helmed by good artist and designer Daniel Purvis. 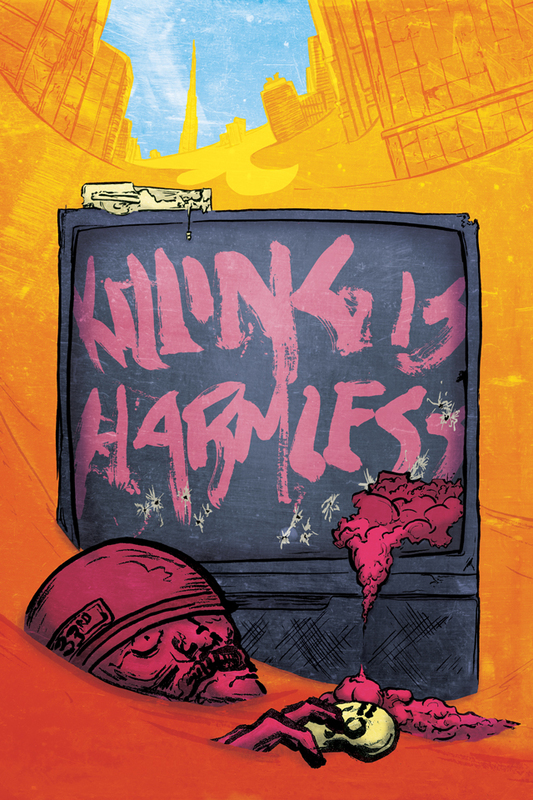 That project has been wrapped up, so now I'm hosting Killing is Harmless here as an easy place for anyone who wants it to find it. Killing is Harmless got a fair bit of press in its day for being one of the first book-length analyses of a single game that most people encountered (though, years later I found out David Sudnow did the same for Breakout in his 1983 book Pilgrim in the Microworld). In an entirely cliche writer way, I actually don't really like Killing is Harmless anymore! Not long after I wrote it I went and read a bunch of Susan Sontag and got way into phenomenology and now I look back at my whole 'reading into' of the game on a symbolic level and I just sort of cringe. But I don't think not liking my old writing is a justifiable reason to not make it accessible, especially when so many people still seem to get a lot of value out of it. The book was originally sold for pay-what-you-want with a minimum price of $5. If you've never bought it before and can afford it, please consider paying that much. If you've bought it before somewhere, by all means just download it. Same if you can't afford $5. .pdf, .epub, and .mobi versions of the book. A folder of original wallpapers and art by Daniel Purvis, who also made the amazing cover illustration. This version does not include my interview with the game's writer, Walt Williams, which was included in some versions of the book that, uh, I can no longer find. But that interview is also online at Unwinnable here.